British historian Patrick French's newly released biography of Nobel Prize-winning author Sir Vidia Naipaul has created waves. The World Is What It Is traces VS Naipaul's roots in Trinidad and goes on to offer some remarkably frank insights into the life and times of the controversial writer. 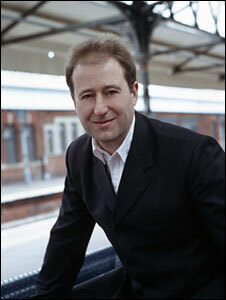 The BBC's Soutik Biswas spoke to Patrick French. How difficult was it to write the biography of one of the world's most controversial writers, who has also been known to be difficult with interviewers? The biographer Hilary Spurling said I needed "nerves of iron" to write a book like this, which is probably right. It was never straightforward. Having said that, VS Naipaul was always co-operative about letting me get on with my work and research. He saw the seriousness and the scope of what I was attempting to do. Did you experience the famous Naipaulean combustion of "arrogance and modesty", as one writer describes it, in your conversations with the writer? Not really. I was direct with him, and he was direct with me. Sometimes he would get angry when I disagreed with him, but that is his style. Naipaul has said that he doesn't intend to read your book. But you say that he had the opportunity to read the manuscript and requested no changes. What is the truth? I never expected him to read the book. Under our agreement, he had the opportunity to look at the manuscript. He did not request any changes. He once said that "the truth should not be skimped" when it comes to a biography. 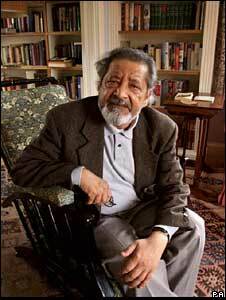 Naipaul has been a polarising figure, especially when it comes to his study of the Muslim world. Edward Said called him an 'intellectual catastrophe'. Do you think Naipaul provokes for effect - you say that 'creating tension, insulting his friends, family or whole communities left him in excellent spirits'? People should read his books rather than listen to his pronouncements. 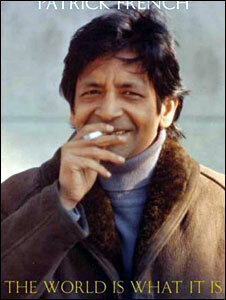 VS Naipaul likes to provoke people, partly out of conviction and partly to entertain himself, to get a reaction. As he said of Said: "He is an Egyptian who got lost in the world and began to meddle in affairs he knew nothing about. He knew very little about literature, although he passed in America as a great, wise literary figure. He knew nothing about India, for example. He knew nothing about Indonesia. He had not travelled to Tehran or seen the revolution." Did you get the feeling during your conversations that his views on India had changed radically? Or is he is still very sceptical of the way the country is going? I show in The World Is What It Is how his ideas about India have changed considerably since he first went there in 1962. He is fairly optimistic now. Like many people from the diaspora, he felt insulted by India's history. Did you get the feeling that he has mellowed with age? He is almost an unrelenting Darwinian, in a sense, famously saying things like "men who are nothing, who allow themselves to become nothing, have no place"? He has not mellowed, I am happy to say. Going by how he appears to have used and abused his women, do you think Naipaul is a misogynist? Or is it more complicated than that? It is much more complicated and more interesting than that: women - his grandmother, his mother and sisters, his two wives and his lover - have been absolutely essential to the sort of man he became, and to the books he wrote. Did you come away with the feeling - after all the interviews with your subject and people who have helped him during his journeys - that Naipaul has no friends and is essentially a loner? Not really. At a personal level he is often entertaining and very funny. But I call him in the book "a man without loyalties". Naipaul is a man who came from very humble origins. His story is, at one level, one of an immigrant's remarkable success. Where do you think his lack of self-doubt in dismissing people, religions and faiths, and his cruel clarity come from? That's true: he is the most successful immigrant writer Britain has ever produced. The lack of intellectual self-doubt comes from his upbringing in Trinidad: from his father's attitudes, from his mother's powerful extended family and from his excellent colonial education at Queen's Royal College in Port of Spain. Is there any place Naipaul truly calls home? How much time did you take to research and write the book? Was Naipaul accessible most of the time? It took five years; it would not have been possible to produce a book of this range in much less time than that. He was generally accessible, always courteous, and never cancelled appointments. And I never turned up late - or early. More writing on India: the sequel to Liberty or Death.